Hi! I’m Jackie Pomposelli and I have been the Development Coordinator at Earthwatch for the past two years. I am currently an active member in Boston’s environmental scene, participating in environmental protests surrounding oil and climate change, and I am currently getting my Masters in Sustainability and Environmental Management at Harvard Extension. I’m not one to shy away from hot topics about conservation, and am taking over Unlocked this week to talk about three hot stories making the rounds in environmental news today. 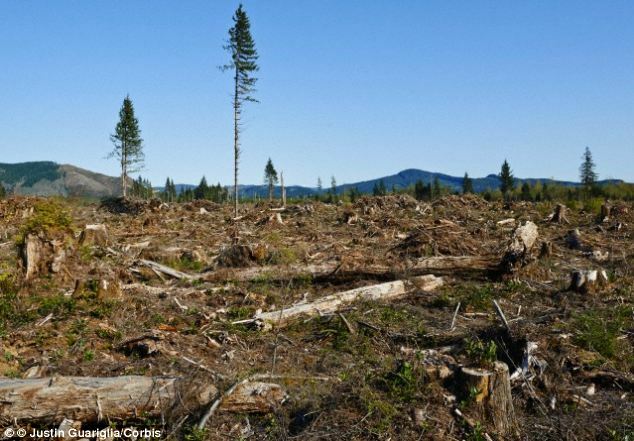 Depletion of our natural resources. It is no secret that the planet is under constant pressure to sustain its growing population. Last week, The Daily Mail discussed the fact that we have already used up the allowable resources the planet can provide in a year and it’s only August. How alarming right? Too many people think of their carbon footprint as an intangible thing. What difference does it make if I leave the faucet running while I brush my teeth? Who cares if I leave the air-conditioning on all day while I am at work? Is that really going to have an effect on the entire planet? The simple answer is Yes. Four-fifths of the world’s population is currently using more natural resources than their country can handle in any given year. As a result, people have thrust the world into an environmental emergency. People need to start seeing their carbon footprint as a palpable part of themselves and their everyday existence. The mindset that one person can’t have a big enough effect on the environmental crisis is almost as dangerous as the crisis itself. Of course, fixing the problem will also take bigger and more drastic steps than simply changing individual lifestyles, but we need to start somewhere. If we all make a concerted effort to do simple things, like turning off the lights, or riding our bikes to the grocery store, we have hope of not needing more than what our planet can provide to sustain us in the future. Students on Thinking Like An Elephant in Thailand. This article, featured in the New York Times, was particularly fascinating for two reasons. 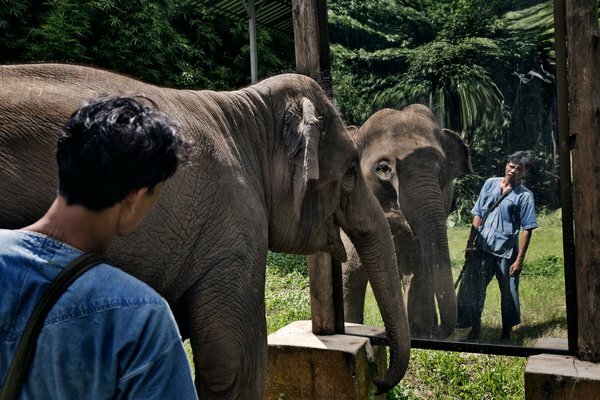 First, it’s about a study done by Dr. Josh Plotnik, an Earthwatch scientist who investigates elephant behavior on our expedition Thinking Like An Elephant in Thailand. The second, and I think most motivating part of the article, is the fact that teenagers have had direct participation and effect in Dr. Plotnik’s study. Young environmentalists are invaluable to scientific research. Raising awareness for environmental issues at a young age is proven to have profound effects on the environmental opinion of the future. Young students are the future of science, and if places like Earthwatch can spark interest and passion in the younger generations, there is a hope that these generations may put scientific research at the forefront of the environmental debate. These students are the key to carrying on the belief that there is a lot more research that needs to be done before we can truly understand the diverse and ever-changing ecosystems that exist on Earth. Oftentimes, the narrative about climate change is one of dramatically changing weather patterns and temperatures. This article tells another story. 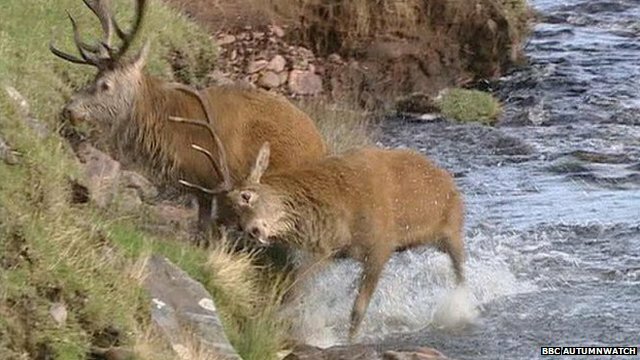 Featured on BBC.com, scientists have written about a recent effect of climate change: red deer are now breeding earlier in the year due the changing weather. Because spring and summer are longer, that means feeding season for the deer are longer too. This change in weather is also having an effect in deer behavior. Red deer are now giving birth earlier in the year, creating questions about what effects these changes will have on the animal’s population. This is becoming an all-too-familiar tale being told in environmental science. We can see and measure the significant climate changes occurring throughout the world, whether it’s the melting ice caps or an influx of great white sharks in the waters off of Cape Cod, but it remains to be seen what long-term effects this will have on the planet. This is why continuing scientific research is imperative. The world needs solid evidence from research to be able to understand what larger impacts small changes in animal behavior may have on an entire ecosystem. This evidence will be the first step to answering the many questions scientists have about what future effects climate change will have on the world and its inhabitants. Thinking critically about environmental issues is something I have enjoyed since college. As an Earthwatch employee who has joined scientific research in California, Puerto Rico, and Costa Rica, I can’t help but try and connect all that I have learned in the field to my everyday life. As I continue my education, I plan to enhance my knowledge about these important topics, and apply what I have learned to educating others. Feel free to start an open dialogue about these topics in the comments section. I would love to hear you think, and whether or not you agree or disagree with me! Interesting blog. There is something to read. Wonderful article. There would be more organizations that care about the animal population. Thank you for the article. Keep up the good work, Jackie! May I suggest that you do two thing: 1) Read the book Maunder’s Minimum, and 2) read about the history of Greenland going back to the 1200s. While I do not dispute the fact that climate is changing, I do dispute that it is humanity caused. We need to do a better job of environmental custodian simply to improve our quality of life. Then we can, hopefully, learn how to cope with the climate change that is upon us. I am stunned and dismayed at your casual and callous endorsement of the enslavement of elephants in Thailand! Is Earthwatch full of humanist bigots or are you an exception? I am a card-carrying member of PETA, People for the Ethical Treatment of Animals, and have been for over a decade. I fully endorse the PETA principles that animals are not ours to eat, wear, experiment on, use for entertainment, or abuse in any way. However, I do not perceive a “casual and callous endorsement of the enslavement of elephants in Thailand” on the part of Jackie Pomposelli. Instead, it seems to me that the results of this project would lead to a more compassionate treatment of elephants due to a better understanding of their intelligence and behavior. Great article Jackie and everyone can tell how passionate you are about these issues. All I can say is Thank God we have people like you who care about our environment and who are selfless and want to help everyone lead a healthy life.